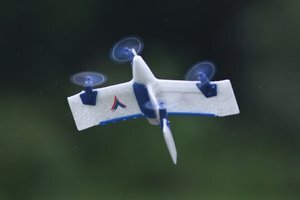 The X-Fly v2 VTOL (Vertical Takeoff and Landing) is a value-priced aircraft that not only has the ability to hover like a quad, but is also capable of high alpha flight with the characteristics of an airplane. 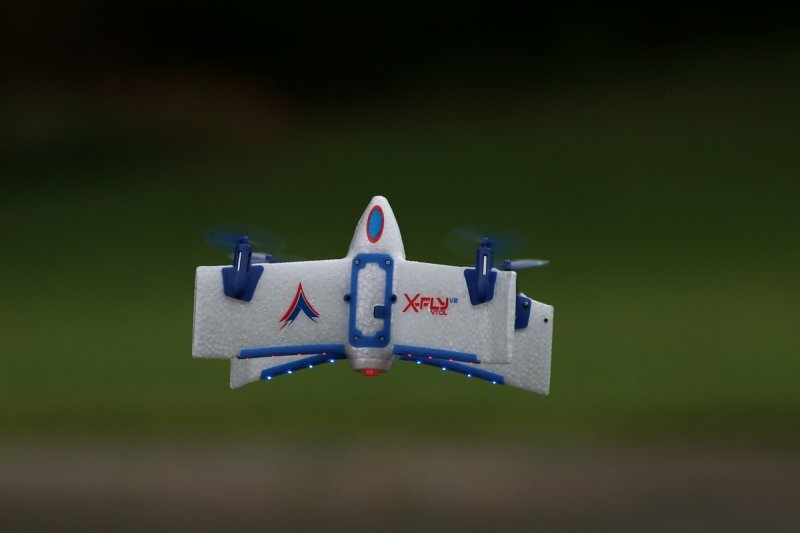 The powerful LED's help with orientation and the attractive trim scheme gives a futuristic look to the X-Fly. 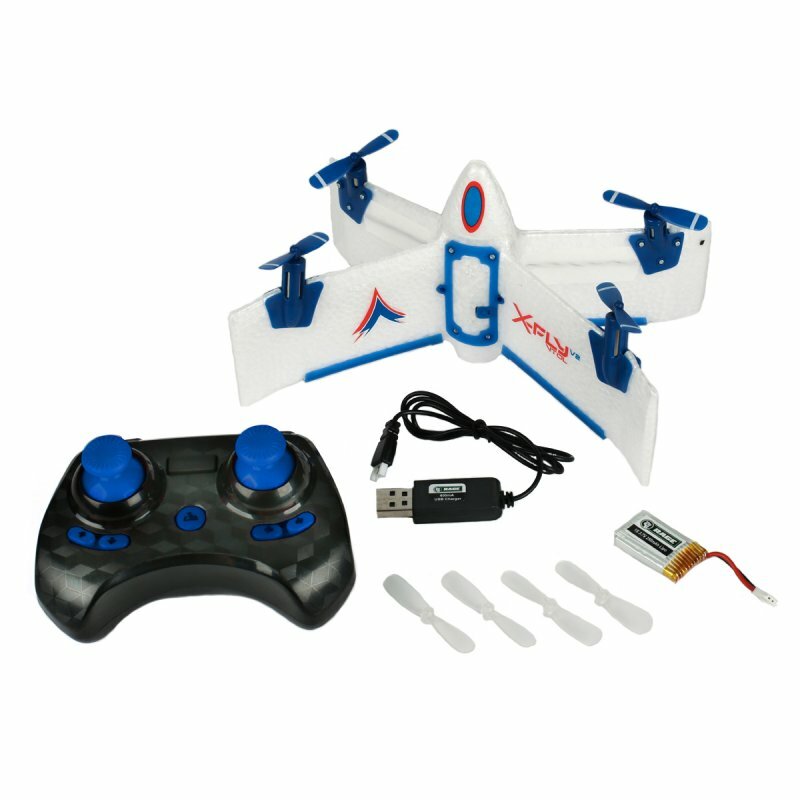 This is a product for customers who may have mastered normal quad flight and are looking for a unique, new flying experience without breaking the budget. 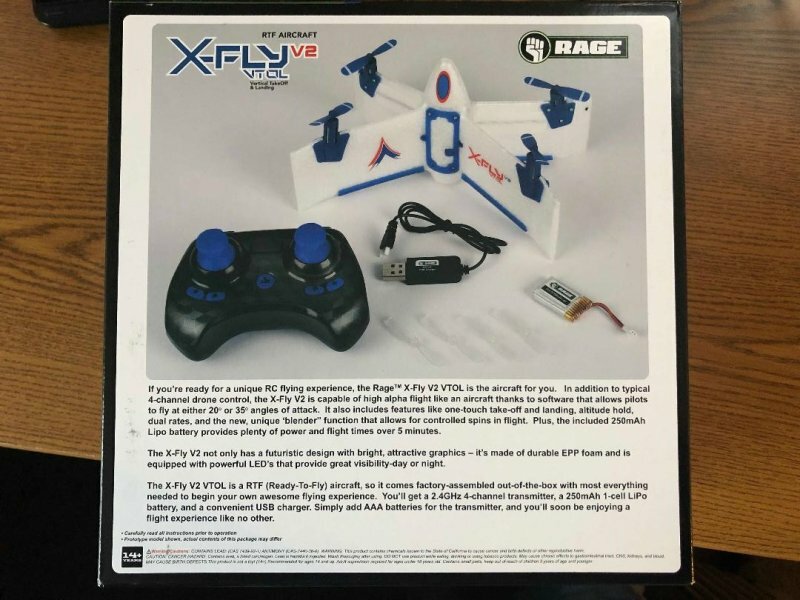 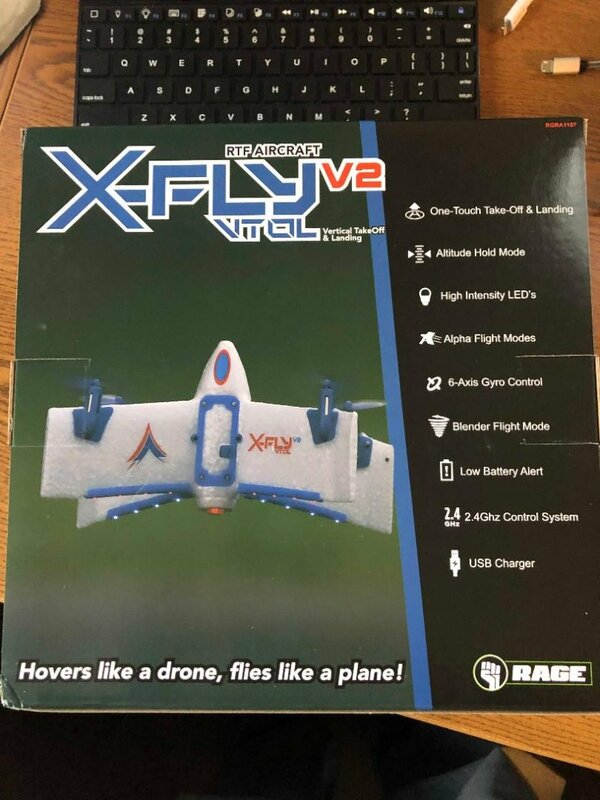 The X-Fly v2 includes features like one-touch take-off and landing, altitude hold, dual rates, and the new, unique "blender" function that allows for controlled spins in flight. 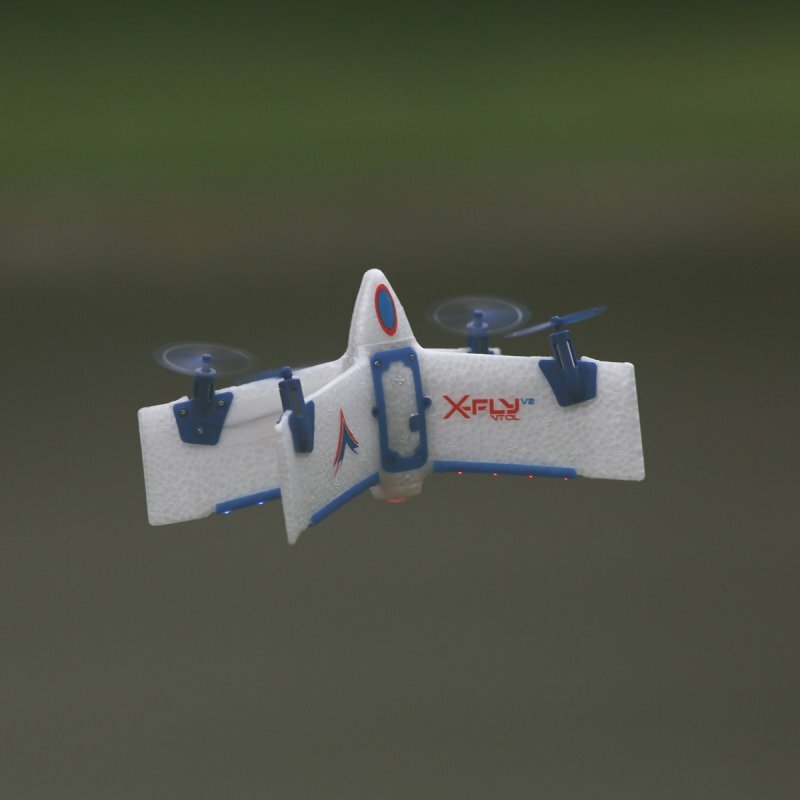 Plus, the included 250mAh Lipo battery provides plenty of power and flight times over 5 minutes. 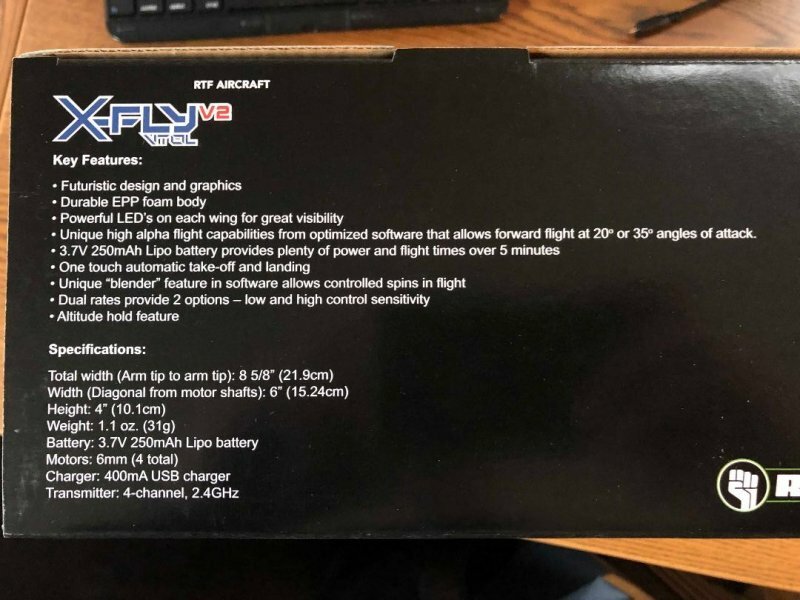 Not only does the v2 have a futuristic design with bright, attractive graphics- it's made of durable EPP foam and is equipped with powerful LED's that provide great visibility-day or night.